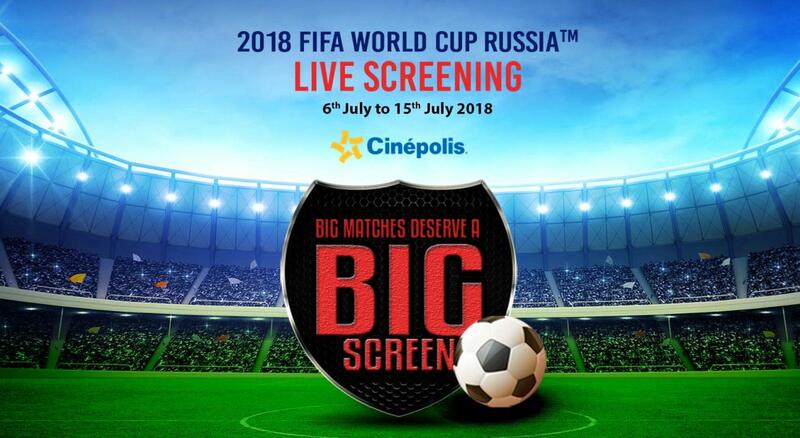 Drop into a neighbourhood Cinepolis to cheer, chant, and watch your footballing heroes score at the world's biggest sporting event! Get free movie vouchers worth Rs.250 on purchase of two tickets! It's time to bring out your inner football fan - the world's largest footballing event is here! With games between the biggest, best, and most competitive footballing countries in the world, you can look forward to some of the best football played in the name of countries as the FIFA 2018 World Cup unfolds in Russia! Check out screenings in all other cities across India, here!